Hello again! There's a little delay on the blog since I'm having some physical issues with my neck. Unfortunately this prevents me from making outfit photos since I'm walking around like Quasimodo haha. But meanwhile I have some new stuff around me to show you. 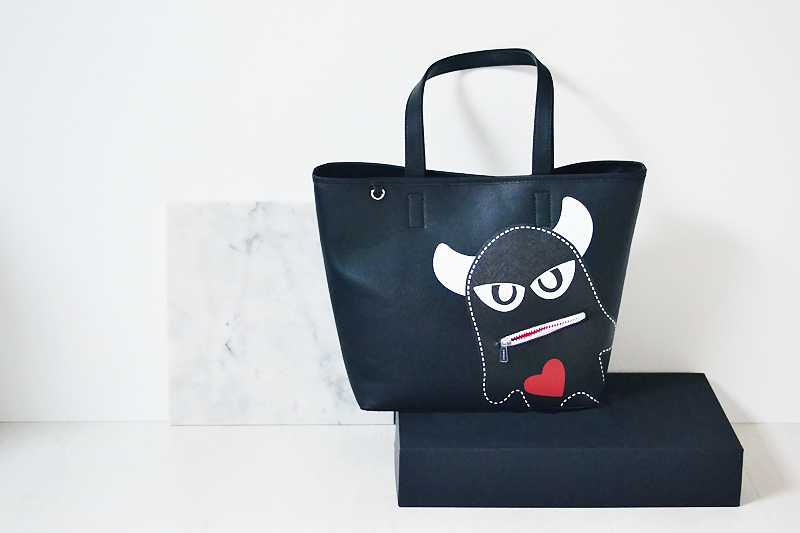 After showing you my little grumpy clutch, I also decided to order the tote bag. I've always been a big fan of the Fendi monster bags but of course they are way out my budget. 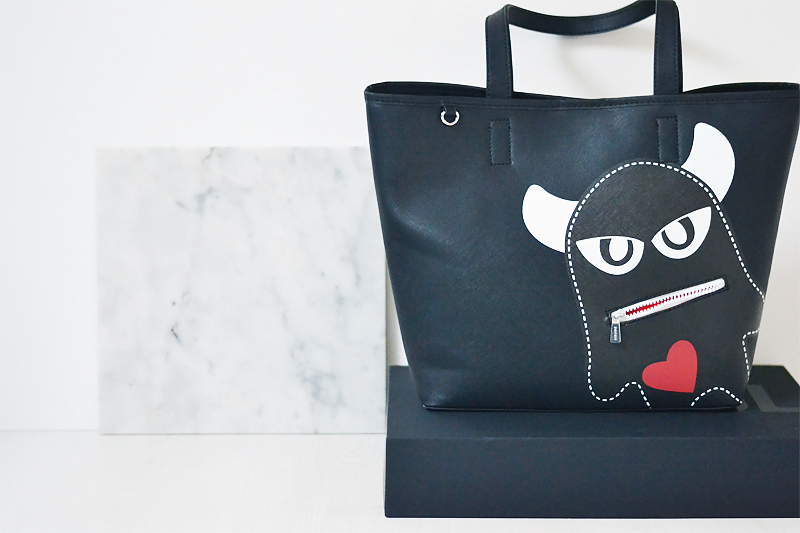 When I discovered the Esprit Monster collection I thought this shopper bag came very close to the Fendi monster bag. It's a great affordable alternative and a black shopper is always a good purchase. If you don't like the grumpy monster you can always turn it around cause the backside is full black. I think it's a good purchase and I'll use it a lot! :) Ps. 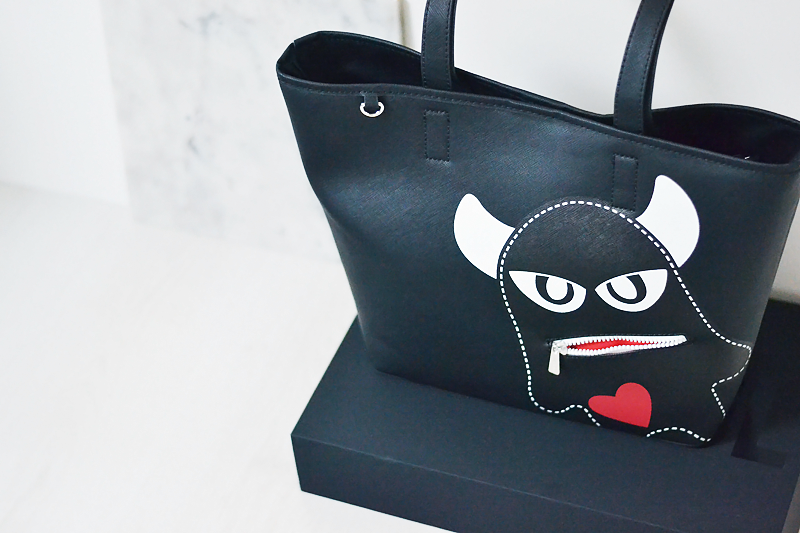 It also looks a lot like the Karl Lagerfeld Choupette bag! Deze tas is zo cool!